And he wasn’t the only one of famous sporting stock at Parnell Park. Dublin sub goalkeeper Mikey Quinn. FORMER IRELAND STRIKER Niall Quinn’s son was on the bench for Dublin’s U21 Gaelic footballers in their fiery 1-12 to 0-9 victory against Meath last night. Mikey Quinn wore number 16 for the Dubs, as their substitute goalkeeper, despite playing his club football with Eadestown in Kildare. Quinn was an unused replacement in the heated quarter-final at Parnell Park which saw two sent off for Dessie Farrell’s Dubs and one for the Royal County. His father Niall, who works as a pundit for Sky Sports these days, is a proud Dublin man, having played minor hurling for the county before focusing on soccer. The clinical forward left a lasting impression on the sport in the county after bagging 3-5 against Wexford in the 1983 Leinster hurling final. Niall Quinn was from a proud hurling family thanks to a strong Tipperary tradition passed down by his recently-deceased father Billy, who was an All-Ireland winner with the Premier County. There were a number of other strong GAA links on show last night; Cuala’s Darragh Spillane, who was named at wing-back but played at corner-forward, is from one of the most famous GAA families around. His father Mick won seven All-Ireland senior football medals with Kerry while his uncle Pat, The Sunday Game pundit, won eight. Darragh’s other uncle, Tom, has four All-Ireland medals. It’s already been a good year for the Spillane family as their Kerry club Templenoe, with a number of the next generation of Spillanes starring, were crowned All-Ireland junior football champions last month, with a comprehensive victory against Mayo’s Ardnaree-Sarsfields in Croke Park. 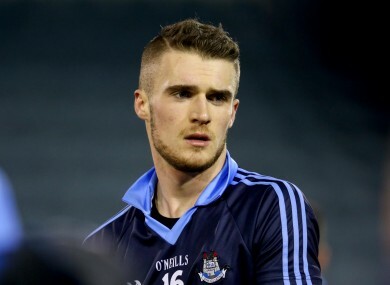 Michael Deegan, the son of former Dublin AllStar and 1995 All-Ireland winner Mick, also lined out in the forwards for the Dubs last night. Deegan Junior also plays his club football outside the county, with Meath club Donaghmore/Ashbourne who had three players on the Royal County panel last night. Email “Niall Quinn's son togged out for Dublin's U21s last night”. Feedback on “Niall Quinn's son togged out for Dublin's U21s last night”.